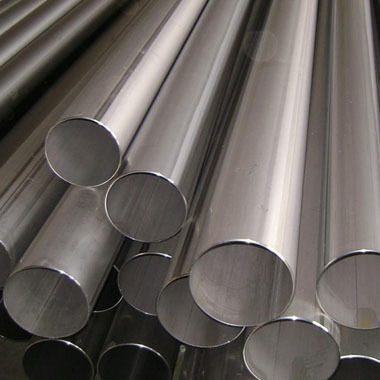 At Aspirinox Alloys Inc. we are one of the leading Monel K500 Tubes manufacturer and supplier, based in India. We offer the Monel Alloy K500 Tubes which also referred as UNS N04405 Tubes having excellent resistance to corrosion and acids, and some alloys can withstand a fire in pure oxygen. These Monel tubes come in varying specifications, sizes, shapes and grades based on the requirements of our clients. Also, Alloy K500 Tubes are very suitable for temperatures services up to 1000 ° F. The product features excellent mechanical properties of high tensile strength and low magnetic permeability. Also, it can be hardened only by cold-working. Monel K500 Tubing exhibits high strength, also represent excellent resistance to acids and alkaline, as well as perform perfectly against atmospheric corrosion. The product also comes with good ductility and thermal conductivity. Monel K500 tubes are available in the forms of Monel K500 Seamless Tubes and Monel K500 Welded Tubes. The size ranges from 6.35 mm OD to 10.16 mm OD. As with welding, it is comparatively less expensive and ranges between 6.35 mm OD to 152 mm OD. Contact us to request a free quote or to get more information regarding the product as we provide you with the best quality products. Specifications for Monel K500 Tubes. If any specification is not mentioned here, please use the contact button for quick quote. Size 6 mm OD x 0.7 mm to 50.8 mm OD x 3 mm thk. Request the latest Monel K500 Tubes List. Please click on the request a quote button or click here to request the updated price list and ready stock information along with your requirement. Aspirinox Alloys INC maintains a stock of all standard items and can export them at best price for Monel Alloy K500 Tubes.